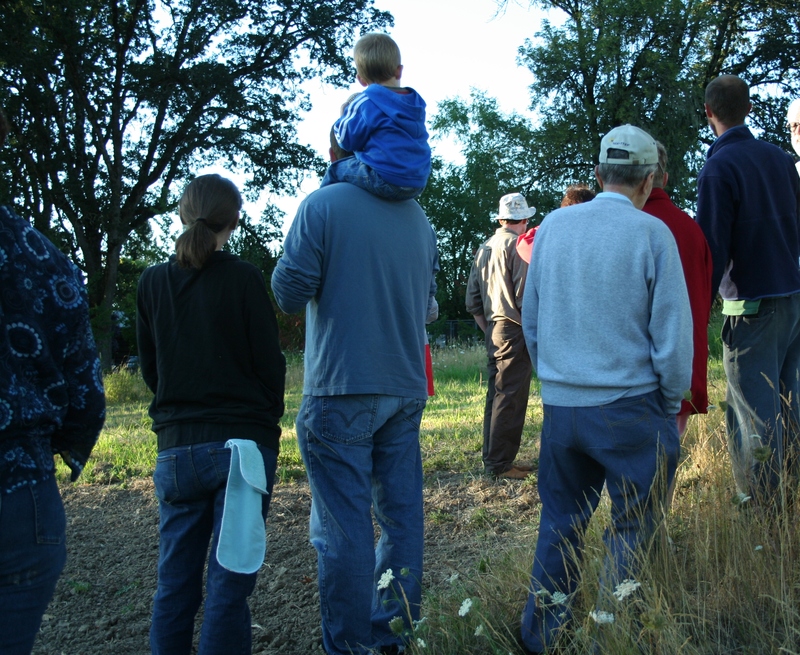 This weekend we hosted our second farm potluck of the year, this time in conjunction with Slow Foods of Yamhill County. Unlike our earlier potluck this season, which was wide open to both farm members and market customers as well as our greater community of friends, this gathering brought in folks mostly from the Slow Foods mailing list along with members of Slow Foods and some of our farm members. Many of the folks had farms of their owns, some were WWOOF-ers from another farm in town,and all of us were genuinely interested in not only eating and/or growing food locally, but in the greater implication of this act. It occurred to me while talking with everyone that the new American small farmer can hardly help but also be a food and land activist as well. While we not only attempt a different model of production from larger-scale agriculture through polyculture planting and direct marketing, we also attempt to take a somewhat man-centered activity–agriculture–and make it once again accountable to the rest of the ecosystem. This means many things, and covers a wide array of different approaches to raising crops and animals; but the common theme is that once again, farming feels as much like an act of stewardship as business. And this is really the more important missing ingredient in modern ag today. Large fields of monocuture grains aren’t going to dissapear and probably shouldn’t. We buy grains for our animals and ourselves, and with the right approach, these fields could be providing just as much food without the chemical load and soil depletion that we commonly see. And with even a wink and a nod toward the well being of animals, operations like Wright County Eggs wouldn’t be around to cause such huge food safety issues. 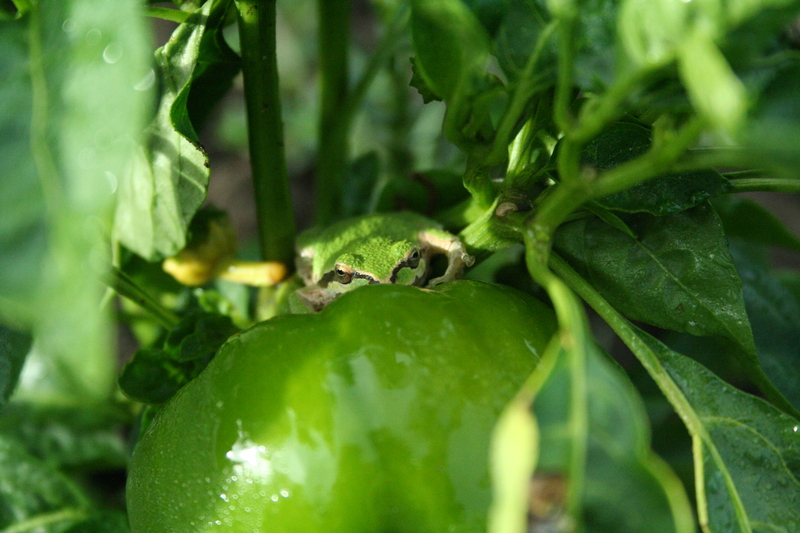 And one thing that has become clear to me this year, as more and more of our counties small farms add some portion of organic production to their retinue–a lot of this is demand driven. The folks here at our farm this weekend are driven by conviction and belief, and this is a large percentage of where sustain-ably produced local food is going to come from; but many growers who have hitherto been fine growing more conventionally can see that the demand for less chemicals and more conservation is pushing them to make the decision to give this new model of growing a go. And that is where all of us eaters come into the picture. Our buying habits have more power than we can imagine. Right now, there are not enough eggs being produced and sold at our farmer’s markets and directly from other small farms in the area–the demand is so high! And yet, most of the time, if we can’t get eggs from a source such as this, we will still go to the store and buy them. 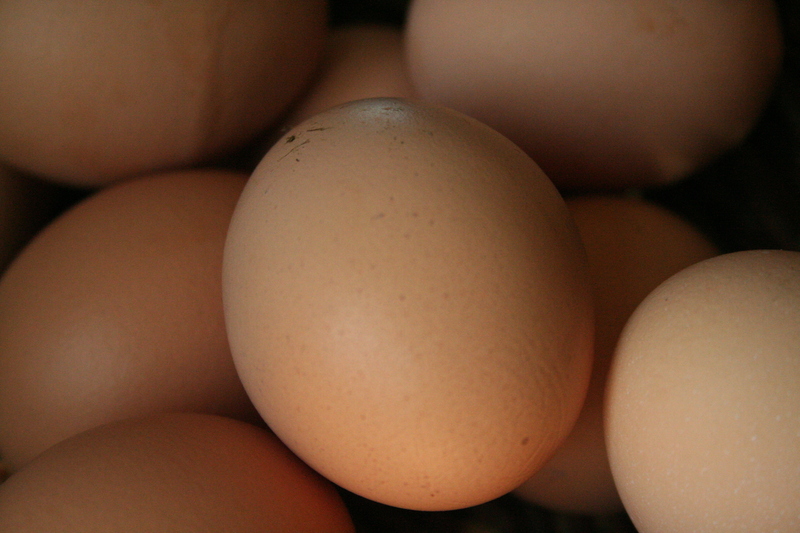 The egg industry can partly be the disaster it is today because we, as consumers, eat so many eggs. This is a hard one even for us. It is hard to see your way around consuming eggs year-round and as often as you would like when there is a such glut of eggs in production. After we lost most of our laying flock to predators a few years ago, we had to go about a year without having our own eggs and we couldn’t always get them locally. We would buy organic eggs from the store, raised in the Willamette Valley, but by bigger egg producers than could likely be considered sustainable. When we got a small flock going again last year, we were happy to have just enough eggs for our family for a while. Then this year we added enough to the flock to sell eggs again, but while we wait for them to start really producing (they are just now starting) and while we have an otherwise egg-laying strike going on with the older hens whom we moved mid-summer and disrupted somehow, we have not had enough eggs for ourselves again. This year though, instead of buying eggs when we can’t get them at market, we are eating all sorts of non-breakfast breakfasts. It has been a challenge for us all, in our minds mostly, getting over the egg thing; but it has been enlightening, and in light of the recent egg recall, it has felt especially important. And all of this is just a roundabout reminder, to myself and others, to keep up the good fight we are all involved in, all at our own levels and in our own ways, of reshaping farming and food culture in this country, all with an eye towards a system that is more than just concerned with human activity and human desire. Farming is at the same time so integrally connected with natural cycles and the natural world as it is so supremely anti-natural in what it attempts to do. To bring these into balance is the goal of the new American farmer and should be the driving demand of the new American eater. Together, small get togethers at small farms all over the country will be a much larger part of the picture than we ever could have imagined.